It does not matter whether you have a completely flooded house or are suffering with a flooded room; at RMM Water Restoration we are fully aware of the urgency of your situation. We work hard to make sure that you return to normal living or working conditions by removing flood water from your home or business as fast as possible. Call our experienced technicians at (877) 588-6353 in Broward, Boca Raton, Sunrise, Fort Lauderdale, Pompano, West Palm Beach, Weston, Cooper City and more..
RMM is a South Florida full-service restoration company that is fully committed to Flood damage Restoration. With our approach to your business or residential property, our staff is always ready to help you rebuild after a fire, flood or any other type of Water Damage. We also take pride in our years of experience and unparalleled customer satisfaction. We are also fully licensed and insured for your financial protection. If you are experiencing any kind of flooding damage we are here to help. 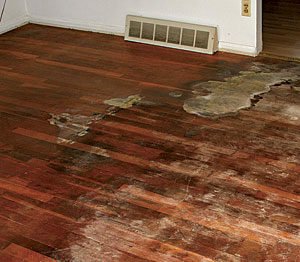 Call us for immediate help at (877) 588-6353 The sooner you remove the flooding damage from your property, the less costly the damages will be that you are likely to incur. Most experts readily agree that the worst flood water damage happens when standing water stays in a flooded area or sits in a flooded home for more than a few hours. This means that time is of the essence when a flood occurs, and we’re available to respond to your needs any time day or night, 365 days a year within 30 minutes of your call to (877) 588-6353.